Eight METS companies will share in 7.14 million in innovation funding from METS Ignited Collaborative Project Funds to deliver highly-advanced solutions to a variety of mining challenges and contribute to the growth and capability of the METS sector. 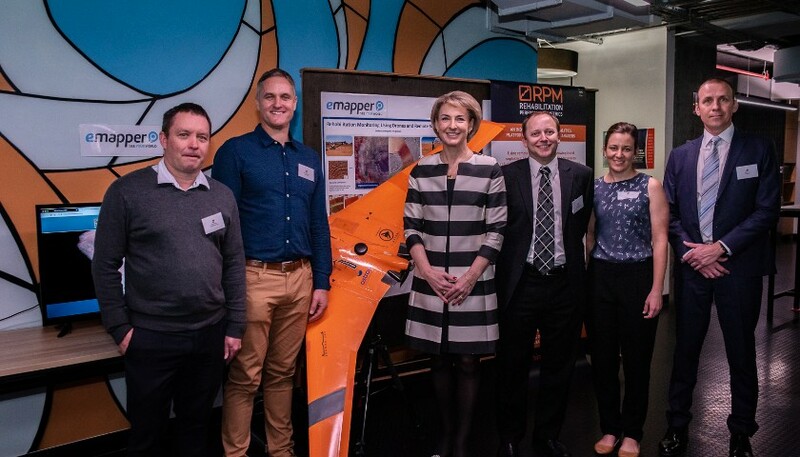 Among the funding recipients is Australian business Emapper, which has developed a drone technology that reduces safety risks to workers by doing the necessary environmental mapping required for any mine site. The technology is designed to reduce the need for workers to be out in the extreme weather conductions or among the 27 species of venomous snakes and other predators found in the Pilbara. Announcing the funding recipients, Minister for Jobs and Innovation Michaelia Cash said the successful projects will strengthen Australia’s position as a global hub for mining innovation, encouraging excellence in mining through industry and research partnerships. “Australia’s METS sector is an $86 billion dollar industry that employs around 300,000 people,” Ms Cash noted. METS Ignited CEO Ric Gros said the projects will benefit the mining sector by optimising the value chain, increasing productivity for mining and mineral processing, supporting and enhancing environmental management, and improving operational safety. “Opportunities for the sector to band together and innovate are vital to the growth of the sector,” Mr Gros said. All the funding recipients, which in include MDEX, The University of Western Australia, Manufacturing Intelligence, Energetique Mining Vehicles, Qtec, Resolution Systems and Micronised Mineral Systems, are required to secure equal or greater investment from an industry partner. Other projects that received assistance under the second round of the funding include: technology testing facilities; battery-powered vehicles for underground mining; data acquisition software for environmental rehabilitation and drilling; and a new process for water treatment.